Icastica Studio is a London based artisan company that creates exclusive handmade leather handbags and bespoke home decor, combining Italian craftsmanship with unique artistic flair. Icastica Studio was founded in 2015 by the ambition and desire of two close friends whose practical knowledge and creative skills complemented each other in order to build the creative and inspiring environment upon which the company was founded. The vision initially, and continual philosophy, to create an ever inventive, imaginative, evolving studio, was affirmed by the launch of their first collection in 2017. The name Icastica derives from the Greek language, translating as vivid, evocative and figurative – words that reflect the studio’s own founding principles and style, manifested in each product by eloquence and vibrancy by virtue of the dramatic choice of colours and the rich use of paint. The Mediterranean origins of the two designers behind the company profoundly influences their way to conceive and realise a concept. By following the traditional Italian ‘bottega’ approach, each product is handmade by the duo and the entire process is carried out in the studio, where the imagination and practical abilities of both are conjoined throughout the entire creation process. Inspired by nature, products range from custom-made handbags to stand-out bespoke centrepieces of interior design, the decoration for which are the result of combining traditional craft techniques with extensive experimentation with painting and haute couture pattern-making. Due to the nature of the production method, each Icastica Studio creation is one of a kind and the culmination of an intense study of colours, shapes and the use of multiples artistic and crafting disciplines. The personalities of the two founders behind Icastica Studio, ensure that the desire to celebrate luxury as a concept of sustainability and uniqueness from distinctive design will never be compromised. 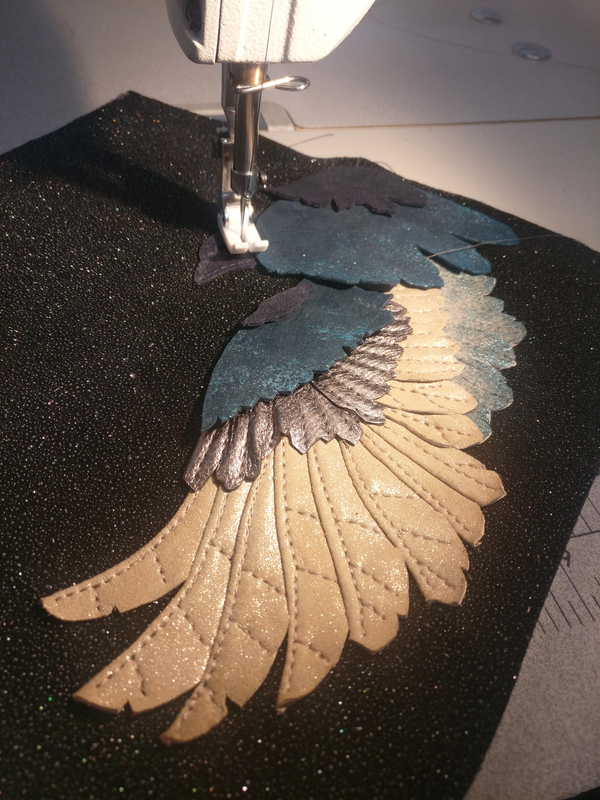 Behind every appliqué there is thorough research and study of the subject that needs to be represented. Once its colours, movements and shape are captured and interpreted into a drawing, pattern prototypes are realised in order to reproduce the vividity on display in the natural world. An intense process of experimentation, with leather manipulation at its core, then begins, resulting in multiple hand cut components. Thereafter the individual pieces are hand painted and overlapped to create intricate layering – lending the design shades, highlights and a fluidity of movement that brings these tri-dimensional works of art to life. Thanks to their unique appliqué decorations and their unorthodox style, Icastica Studio creations can bring some exquisite allure to any interior or embellish indisputably original and one of a kind handbags. Icastica Studio is a female-run company which creates luxury goods by sourcing sustainable primary materials to realise unique style creations using a combination of traditional and unconventional handcrafting techniques. The concept of luxury not only means opulent, grand or lavish, but for Icastica Studio it must also reflect the sustainability of the materials used, the process employed and the social, ethical and moral duties that the company demands of itself. In an era of consumerism and standardisation, the studio believes that real luxuriousness is attained by a combination of uniqueness, quality, distinction made with consciousness, respect for the environment and allowing a natural human time frame for production. Icastica Studio chooses to produce on a limited scale because it respects the human skill of handmade crafting, ensuring the quality and authenticity of each individual product, while always focusing on minimising waste in all production techniques. The designers constantly travel to Italy, spending a great deal of time hand selecting the most unusual and precious skins in keeping with the company ethos. 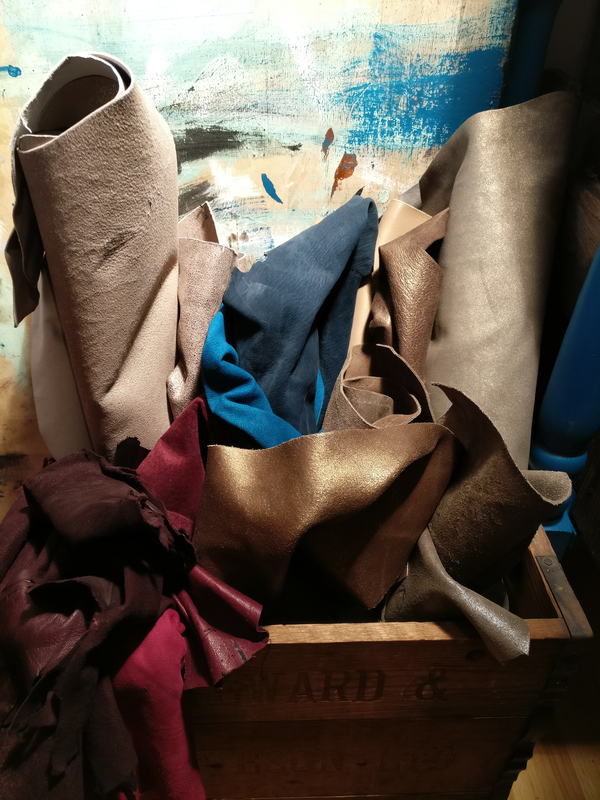 All products are realised using sustainable leather as well as leather which the industry defines as surplus and so is subjected to limited stock, allowing customers to be able to enjoy truly irreproducible items while being created with the least environmental impact possible. The company chooses not to be dictated by the fashion and design industry’s timetables but, on the contrary, prefers a much more natural creative flexibility. Production doesn’t follow the strict schedules of the market but the designers’ inspiration and imagination which have no timescales but their own. Icastica Studio promotes and supports skilled artisans as well as independent and craft based businesses by purchasing raw materials from smaller producers and collaborating with local artists and craft makers. The company always endeavours to set high standards for social and ethical compliance when dealing with suppliers and the community it operates in. Each final product celebrates the unique characteristics of leather as a natural material and the artistic touches personally applied throughout the entire creative process. To find out more about our leathers, visit our Sustainability page.